Lugansk News Today came with an important article about a video that the Ukrainian SBU released. Two 'soldiers' that where fighting for the so called LPR (a cloak for the Russian Hybrid Army) defected and surrendered to the Ukrainian army. They turned out to have a criminal past. 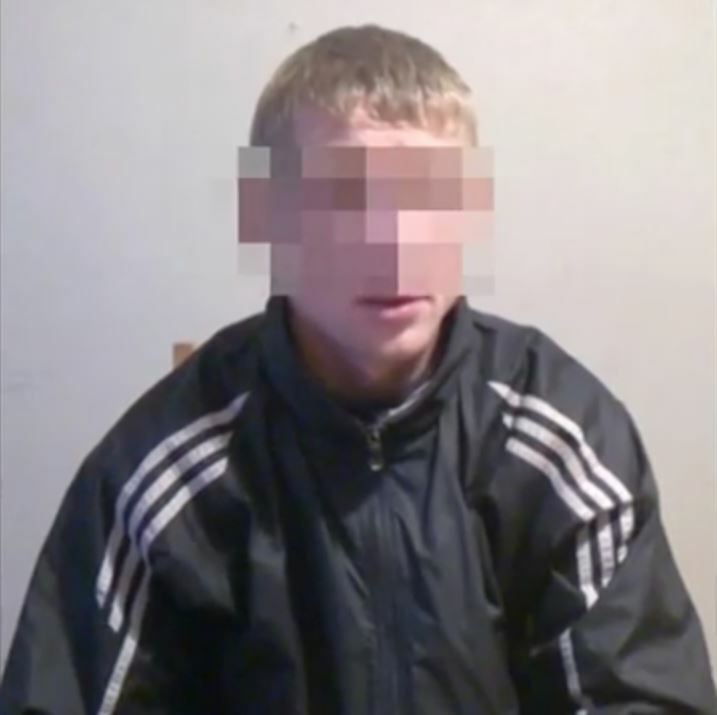 Lugansk News Today writes: "The older terrorist confessed that he was trained by Russian instructors in Yeysk city of Russian Federation. During 10 days he became operator-commander of surface-to-air missile system “Strela-10″. It could very well have been the one being operated by this commander. It is not the first time that criminals have been discovered fighting in the Russian Hybrid Army. In this blog we argued how Russia is systematically planning to use Russian inmates to fight in Ukraine. In this blog we argued how Russia was introducing new batches of inmates to the battlefield at Debaltseve. 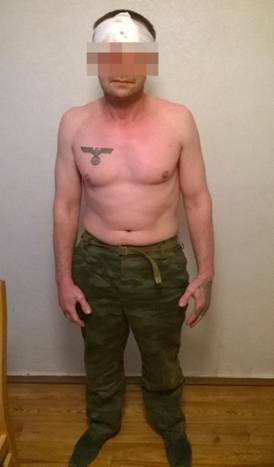 So the fact that two more real criminals are found within the ranks of the Russian Hybrid Army in Ukraine proofs even more how using criminals and inmates is a systematic practice. 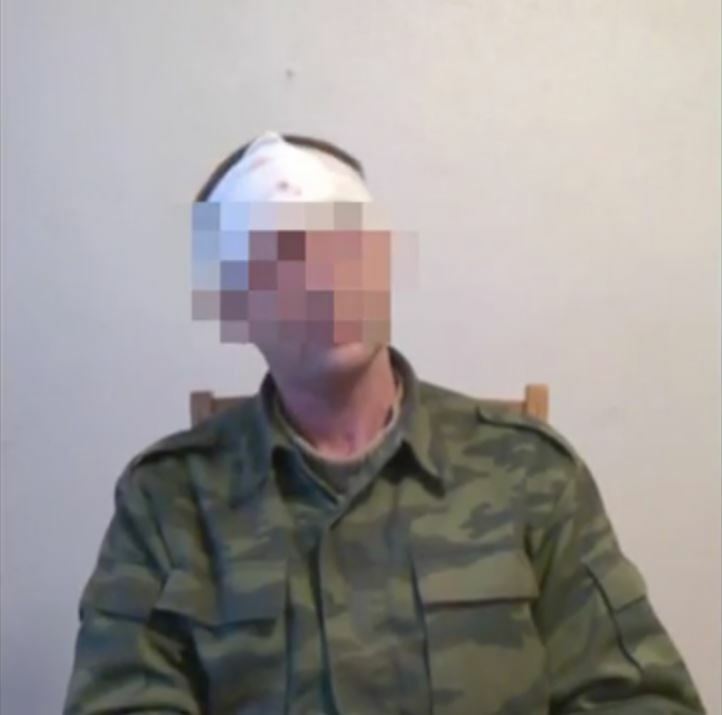 The Strela-10 commander talked about being tortured and humiliated for two days in a row, while keeping him in an iron cage. This also is a confirmation of the things argued and discussed in the other blogs. You can read about Russia's Hybrid Army here. - I'm a native of Lugansk region and the city of Sverdlovsk. In 2003 [I] was convicted of wilful murder, served the term of 11 years, was released in 2013. Tell us how did you enter the military of the so-called People's Republic of Luhansk? - <...> [On a way?] home to my mom I met at a battle station my friend Zhoga, with whom I had <...> parted. He was on duty. - It was in mid-summer 2014. He offered me to join the LPR. How many people did you go to Yeysk and by what transport? - To Yeysk we went in number of 40 people on two Ural trucks, crossed the border at the checkpoint Nulevoi, then, when we were in the Russian Federation, we were met by the FSB, or I do not know whom - the cars with flashers accompanied us to the military unit of the city of Yeysk. We were taught by Russian military men, career officers. There we were divided into groups - MPADS, Strela-10, and the mechanics-drivers. Where you were sent to then after the training? - After the training we were sent to Krasnyi Luch', our military deployment. Explain your reasons why you've left the air defence forces and what did you do next? - There I simply found the illegal actions by the command, so I decided to leave my service in the air defence forces. I was phoned by guys <...> from my village Suzhinskaya, [they] said 'We are now based in the city of Bryanka, come to us, [we] will find something fit for you, or will talk to your command and they will take you back.' I came to Bryanka to the battalion of artillery. And what made you leave the service and go to the <...> [enemy?] territory? - I was simply so unfairly treated, was beaten for <...> woman. It were the command and the drunken soldiers who beat [me]. In the LPR, by the way, drinking sprees are regular, systematic, every single day. What happened after you were beaten? - I was shut up in a cage - it's the selfsame cell, but like a cage. 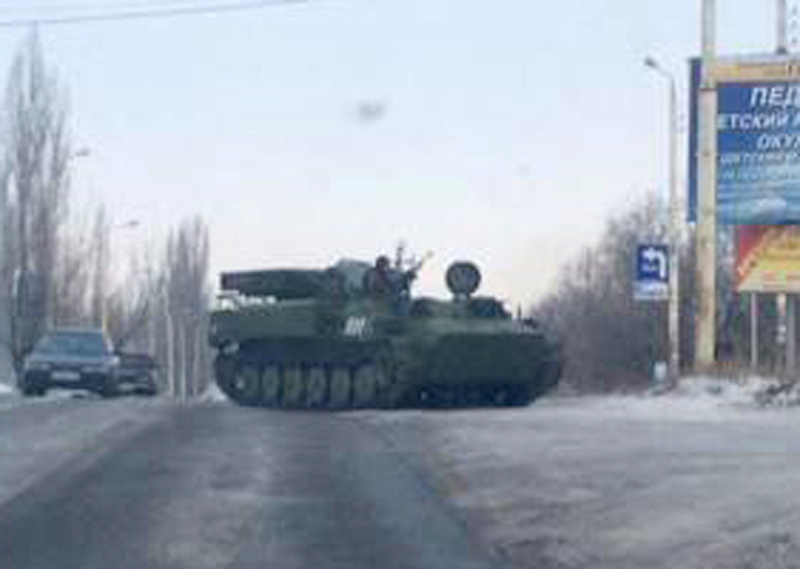 Then, on the first day [of the month] at 2 PM we bypassed the checkpoint Stakhanovskii, got to Pervomaiskaya, passed the checkpoint Pervomaiskii, and via the fields came to the Ukrainian army to be there in safety and security. Are there military persons who do not wish to serve in the so-called People's Republic of Lugansk, and [what are] the reasons? - Yes, of course. Many of these I know. It's because they [= the LPR command] do not pay salary, nothing; for any <...> [misdeed?] [they] beat, humiliate. And the persons are afraid that their families are still there and they do not know how to come over to the Ukrainian army.